Wanaka is within an hour's drive of Queenstown, where an international airport is situated connecting the region to the world. International flights from Australia's East Coast cities are provided by Air New Zealand, Virgin Australia, QANTAS Airways and Jetstar. There is a comprehensive domestic network of flights including numerous flights from Auckland and Christchurch. 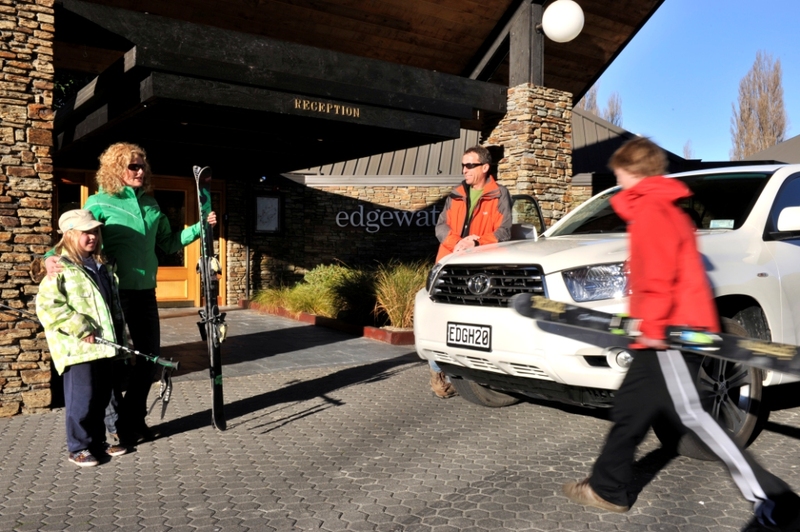 If you are self-driving, leading rental car companies are located at Queenstown Airport. If you prefer a hosted transfer here are details for you. Driving through the spectacular South Island is inspiring and energising. Visitors often arrive into Wanaka via the Haast Pass, from the West Coast or alternatively through the heart of the Central South Island, via the Mackenzie region. Soak up the awesome sight of Aoraki Mount Cook en-route from Christchurch. Dunedin is just over three hours drive from Wanaka. If arriving by bus into Wanaka, let us know your arrival details when you make your room reservation and we'll provide a complimentary pick-up from the Wanaka bus terminal. Here are some great ideas about how you can incorporate Wanaka into your South Island visit. Download this brochure - produced by New Zealand's official NZ Transport Agency - about driving in New Zealand. It is in Chinese, traditional Chinese, Japanese, Korean, Thai, and Arabic. Alternatively visit the Drive Safe website for information.